Genuine Fender® Stratocaster® control knob sets. 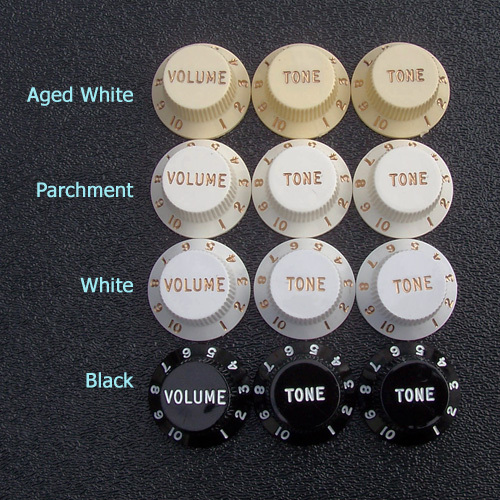 Each set includes 1 Volume knob, and 2 Tone knobs. Fits all of our potentiometers found in the Electronics page which have a 6mm (0.236") knurled split shaft.